MONTEBELLO UNIFIED SCHOOL DISTRICT, LOS ANGELES COUNTY OFFICE OF EDUCATION, AND BELLFLOWER UNIFIED SCHOOL DISTRICT. Administrative Law Judge (ALJ) Deidre L. Johnson, Office of Administrative Hearings, Special Education Division (OAH), State of California, heard this matter from February 23 through 27, 2009, in Montebello, California. Student and his father (Parent) were represented during the hearing by Jessica Toth, Attorney at Law, Learning Rights Law Center, and Shawna Parks and Anna Rivera, Attorneys at Law, Disability Rights Legal Center. In addition, attorney Lewis Bossing and The Legal Aid Society Employment Law Center were co-counsel of record. Parent was present throughout the hearing. Spanish/English interpreter Ana Juliao provided interpretation services to Parent during the hearing. Student was present for part of one day. Karen Gilyard, Attorney at Law, Atkinson, Andelson, Loya, Ruud & Romo, represented the Montebello Unified School District (Montebello) and the Los Angeles County Office of Education (LACOE). Co-counsel Carlos Gonzales of the same firm was present during most of the hearing. Donna Wakano, a teacher on special assignment for Montebello, was present during the hearing. Dr. Gary Levin, Project Director III of LACOE, was present through most of the hearing, and James Albanese, LACOE Administrative Compliance and Support Services, attended for part of a day. Marcia Brady, Attorney at Law, Law Offices of Eric Bathen, represented Bellflower Unified School District (Bellflower), and Victoria Medina, Bellflower Director of Special Education, was present during the hearing. On September 11, 2008, Student filed a request for a due process hearing (complaint) with OAH. 1 On October 10, 2008, OAH granted a continuance of the hearing. At hearing, oral and documentary evidence were received. At the request of the parties, the record remained open until March 20, 2009, for the submission of written closing arguments. On that date both parties timely filed closing arguments, the record was closed, and the matter was submitted. 1. Beginning on September 11, 2006, did Bellflower, Montebello, and LACOE fail to timely and appropriately assess Student’s unique needs regarding postsecondary transition for the 2006-2007 and 2007-2008 school years? 2. Did Bellflower, Montebello, and LACOE deny the meaningful participation of Student and Parent in an individualized education program (IEP) meeting in December 2006, and thereby deny Student a free appropriate public education (FAPE)? 4. For the 2007-2008 school year, did Montebello and LACOE deny Student a FAPE by failing to provide the alternative augmentative communication devises specified in his IEPs? 1 Although Student initially filed documents in August, 2008, OAH determined, in an order issued on October 2, 2008, that the complaint was filed on September 11, 2008, when OAH received Student’s identifying information as required by law. 2 The ALJ has reframed and reorganized the issues for purposes of clarity, consistency, and organization. 3 The right to special education is extended to those pupils between the ages of 19 through 21 years old with preexisting IEPs who have not yet completed their prescribed courses of study, have not met proficiency standards, or have not graduated from high school with a regular high school diploma. 4 See, by analogy, Government Code section 11515 governing official notice under the Administrative Procedure Act. 5 By order dated October 31, 2008, OAH determined that Student’s asserted issues for the 2005-2006 school year were beyond the applicable two-year statute of limitations, which was not equitably tolled while Student pursued other legal forums. Accordingly, references to the “2006-2007 school year” at issue herein begin on September 11, 2006, two years prior to the date the complaint was filed. 6 Other evidence established that Student did not like to maneuver the manual wheelchair by himself and preferred to be pushed by his aide or an adult. 8 ROP is a regional job training program through the Los Angeles County Office of Education for students 16 years of age and older that provides prevocational and vocational training and work experience. 9 Dr. Johnson also analyzed a 2004 triennial psychoeducational assessment that was not presented at hearing and is therefore not considered. 10 Student was eligible for low incidence funding through CCS due to his orthopedic disability. “Low incidence disability” means a severe disabling condition of a hearing, vision, or orthopedic impairment, or any combination thereof. (Ed. Code, § 56026.5.) CCS monitored his daily living abilities and needs and supported him by funding and providing his wheelchair, the augmentative communication devices, and occupational therapy consultation services and evaluations for the LEAs. 11 The LEAs increased Student’s speech and language services to twice a week pursuant to CDE’s 2006 corrective action order. 12 Student’s closing argument attempts to expand this issue to a broad complaint that, for both school years at issue, he did not have “an effective” communication system, and that school staff did not consistently or appropriately utilize the communication devices he did have. However, the first point relates to the issue of the appropriateness of the functional communication services Student was offered or provided, and the second issue was not described in Student’s complaint and is therefore not decided in this case. 13 The 2008-2009 school year is not at issue in this proceeding. 14 After one year of such consistent, daily services, there should be sufficient data for an IEP team to determine whether the continuation of such services would be appropriate to provide a FAPE in the future. 15 California Education Code section 56026.3 defines an LEA as a school district, county office of education, a special education local plan area , or a charter school participating as a member of a special education local plan area. As a result of the legal violations alleged above, Student requests an order requiring the responding parties to provide compensatory education to him in the form of: (1) 720 hours of compensatory vocational and functional skills training and services; (2) a toilet training assessment, training plan, and 264 hours of toileting training; and (3) 440 hours of direct communication instruction with augmentative communication devices by a qualified speech and language pathologist, until he exits his educational program at the age of 22, or longer if necessary. The specific contentions of the parties are set forth in this Decision within each issue regarding Student’s postsecondary transition assessments, goals, and services for the 2006-2007 and 2007-2008 school years. Generally, Student contends that Montebello, Bellflower, and LACOE were all local educational agencies (LEAs) responsible for Student’s education, and that they should be jointly and severally liable for the violations claimed in his complaint. Montebello concedes that it was a responsible LEA for all or part of the 2006-2007 and 2007-2008 school years as the school district of residence. However, Montebello and LACOE assert that Bellflower was a responsible LEA for Student’s special education and related services for the 2006-2007 school year, until April 17, 2007, when he transferred to Montebello. Bellflower contends that Montebello was the responsible LEA for the 2006-2007 school year because Bellflower was merely a service provider for Montebello. In addition, Bellflower asserts that, because it was not joined as a party to this action until OAH ordered its joinder on December 11, 2008, the two-year statute of limitations applicable to this matter limits its exposure for liability to the time period between December 11, 2006, and April 17, 2007. LACOE contends that it was not an LEA responsible for Student’s education during either school year, except regarding augmentative communication services that it provided to Student as a related service while he attended high school in each district. 1. Student is 18 years old and has lived with Parent within the geographical boundaries of Montebello for many years. Parent holds Student’s educational rights and makes all educational decisions for him. 2. Student has multiple disabilities. He receives special education and related services under the categories of orthopedic impairment and mental retardation. He has medical diagnoses of spastic quad type cerebral palsy (1990), anoxic encephalopathy status post cardiac arrest (1995, lack of oxygen to the brain), a pacemaker, and a history of seizures. He also has severe delays in motor, speech and language development, and he is moderately delayed in the areas of cognitive and adaptive functioning. Student is not ambulatory, uses a wheelchair, and is primarily a nonverbal communicator. He uses the English language during school, and uses English and Spanish at home. His cerebral palsy, encephalopathy, cognitive and other deficits significantly interfere with his access to the educational curriculum. He is very social, outgoing, and polite. 3. Montebello provided special educational services to Student through an arrangement with LACOE through the 2003-2004 school year. LACOE placed Student in a LACOE special day class (SDC) for the severely handicapped (SH) at a middle school in Bellflower. 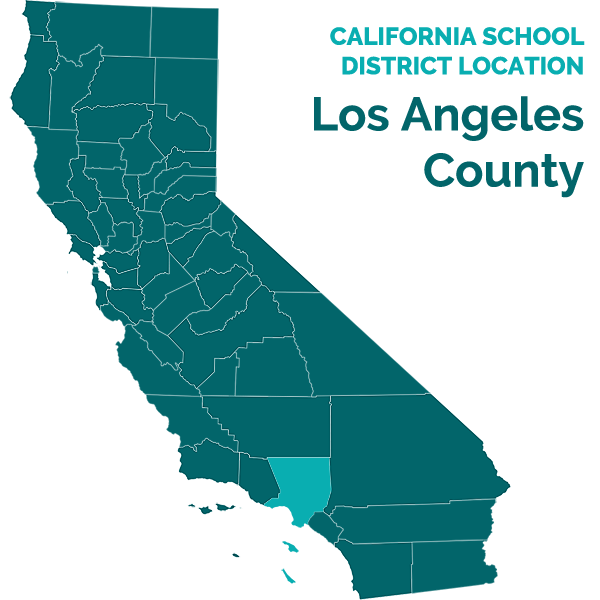 In 2003 or 2004, LACOE transferred its SDC programs and services to Bellflower pursuant to a program transfer approved by the California Department of Education (CDE). 4. Student entered 11th grade at Mayfair High School (Mayfair) in Bellflower in the fall of 2006. In the spring of 2007, Student transferred to Montebello High School (MHS) in Montebello, and completed 12th grade at MHS in June 2008. He has not graduated from high school. Student still receives special education and related services from Montebello and is expected to do so until he reaches the age of 22. 3 This case focuses on the postsecondary transition plans, goals and services offered and provided to Student during his 11th and 12th grade school years at both Mayfair and MHS. 5. Due process hearing procedures extend to “the public education agency involved in any decisions regarding a pupil.” “Public agency” includes a school district, county office of education, special education local plan area, in some circumstances a charter school, or any other public agency under the auspices of the state or any political subdivisions of the state providing special education or related services to individuals with exceptional needs. An LEA is generally responsible for providing a FAPE to students with disabilities who reside within the LEA’s jurisdiction. A school district may contract with another public school district for the provision of special education services. 6. During the hearing, Montebello, LACOE, and Bellflower did not present oral or documentary evidence bearing directly on the issue of the arrangements between them for providing Student’s education, aside from IEP documents. However, Montebello and LACOE filed a motion with OAH to add Bellflower as a party on November 4, 2008. They submitted documents in connection with that motion, including declarations under penalty of perjury from Dr. Levin and Ms. Wakano, neither of whom testified at hearing. Bellflower was served with the motion and did not file any written response opposing the motion or the evidence supporting the motion. Since these documents are part of the records in this case, official notice is taken of them. 4 OAH granted the motion and ordered Bellflower to be joined as a party to the action on December 11, 2008. 7. The evidence established that at all times relevant in this case, Montebello was the LEA responsible for Student’s special education and related services for both the 2006-2007 and 2007-2008 school year as the school district with educational jurisdiction based on Student’s residency in that district. While Student was placed at Bellflower, Montebello coordinated and contracted for his assessments, including the triennial assessments before a February 2007 IEP meeting. (Factual Findings 22 through 54.) Montebello representatives frequently attended the Bellflower IEP meetings for Student, including Jose Fonseca, Montebello’s program specialist, and Courtney Adolph, Montebello’s legal counsel. In 2006, CDE ordered Montebello to offer Student compensatory transition services, and the Bellflower IEP team thereafter offered compensatory in-home independent living and functional skills tutoring. Montebello was therefore a responsible LEA for Student’s 11th and 12 grade school years for the 2006-2007 and 2007-2008 school years. 8. Bellflower contends that it was merely a service provider under contract to Montebello for the 2006-2007 school year until Student transferred to Montebello in April 2007. Bellflower was a member school district of the Mid-Cities Special Education Local Planning Area (SELPA), which included LACOE. Montebello was a member of the Montebello-Downey SELPA, which also included LACOE. The IEP documents for the 2006-2007 school year at Bellflower stated that Bellflower was the program operator of the IEP, and that Montebello was Student’s school district of residence. 9. When Montebello moved to add Bellflower as a necessary party to this proceeding in December 2008, Montebello argued that Bellflower was a necessary party as an additional school district that provided educational services to Student. Bellflower did not oppose the motion to join it as a necessary party or submit evidence that it was only a service provider when it had every opportunity and incentive to do so. Bellflower did not make a timely motion for reconsideration of the joinder order, and its defense now on that basis is not persuasive. No one from Bellflower testified, and Bellflower did not submit any evidence of a written service provider contract that limited its role, liability or exposure under the IDEA to that of a service provider. 10. The evidence established that Bellflower, a member of the Mid-Cities SELPA, cooperated with Montebello, a member of the Downey-Montebello SELPA, and with LACOE to place Student at Bellflower many years ago. Bellflower operated its own special education programs and services, including SH/SDC classes. Under this cooperative arrangement during Student’s 11th grade year, Bellflower offered him a special education placement and services that were under its control and management, including an SH/SDC class that was not available in Montebello. Bellflower arranged and convened the IEP meetings and made the IEP and individualized transition plan (ITP) offers for Student’s 11th grade school year based on its programs and services, supplemented by LACOE’s augmentative communication services. Bellflower’s administrative personnel attended Student’s IEP meetings to authorize the offers. As set forth in Factual Findings 44 and 45, when the parties realized that Bellflower did not offer sheltered work experience programs for its high school students, Student was transferred to Montebello through an inter-district transfer. Montebello had a contractual relationship with Lincoln, a nonpublic agency (NPA), for supported and sheltered work experience and training for pupils over the age of 16. If Bellflower had merely been another service provider under contract to Montebello, there would have been no need for an inter-district transfer in order to accomplish Student’s simultaneous enrollment at Lincoln. 11. The evidence established that LACOE was a public education agency involved in limited decisions about Student’s education after 2004, in the role of a service provider of augmentative communication devices and consultation, assessment, and training services. LACOE augmentative communication specialists were members on the IEP teams only at those meetings where augmentative communication devices were discussed. (Factual Findings 119 through 126.) LACOE had no decision-making role in making either Bellflower’s or Montebello’s offers of FAPE at the IEP meetings at a either a management or administrative level. Therefore, LACOE was not an LEA, was only responsible for the augmentative communication services, and was not otherwise responsible for Student’s education in either school year. 12. Based on the foregoing, it is determined that Bellflower was also a responsible LEA for Student’s educational services for part of the 2006-2007 school year until April 17, 2007, when he transferred to Montebello. Bellflower argues that, if it is held to be a responsible LEA, civil law standards should apply to limit its liability from the date it was joined as a party. Bellflower contends that the statute of limitations applicable to a party joined after an action has commenced is to be measured from the date the party was joined. 13. California law provides that a request for a due process hearing “shall be filed within two years from the date the party initiating the request knew or had reason to know of the facts underlying the basis for the request.” As set forth in Factual Findings 23, Footnote 5, since Student filed his complaint on September 11, 2008, the applicable timeframe for this case began on September 11, 2006. The law provides for two express exceptions to the two-year statute of limitations that do not apply in this case. Special education law is silent on the application of the two-year statute of limitations to a party joined in a case after the request for a due process hearing against other parties has already been filed. 14. Under civil law, as a general rule, an “amended complaint” that adds a new defendant does not relate back to the date of filing the original complaint and the statute of limitations is applied as of the date the amended complaint is filed, not the date the original complaint is filed. An exception to the no-relation back doctrine is provided where, if a new defendant is substituted for a “Doe” defendant named in the original complaint, the courts will generally allow the claim against the substituted party to relate back to the original complaint. A further requirement for application of the exception is that the moving party adding the new defendant must have been genuinely ignorant of the new party’s identity at the time the original complaint was filed. 15. At the time Bellflower was joined as a party on December 11, 2008, Student did not file an amended complaint. OAH deemed the complaint to be amended and ordered the caption of the case to be changed accordingly. Student had actual notice of Bellflower’s identity at the time he filed his original request for due process because he had attended high school in Bellflower for part of his 11th grade year involved in this case. Since special education law is silent on the application of the two-year statute of limitations in these circumstances, the civil law’s reasoning should apply. It would not be equitable to allow Student to extend the statute of limitations to a time prior to Bellflower’s joinder in the case, particularly since Student attended Bellflower. 16. Based on the foregoing, Bellflower was an LEA responsible for Student’s education for the 2006-2007 school year for a four-month window period between December 11, 2006 and April 17, 2007, when Student transferred to Montebello. Bellflower and Montebello were both LEAs responsible for Student’s education during that four-month period, and are therefore jointly and severally liable for the transition violations found herein during that time frame. 17. Student contends that the LEAs failed to timely and appropriately assess his unique needs regarding postsecondary transition planning and services in order to develop postsecondary transition goals and services for both the 2006-2007 and the 2007-2008 school years. 18. A special education pupil must be reassessed, following an initial assessment and determination of eligibility, not more frequently than once a year, and at least once every three years (triennial assessment), unless the parent and the LEA agree otherwise. No single procedure may be used as the sole criterion for determining whether the student has a disability or an appropriate educational program. An IEP meeting to review the assessment must occur within 60 days of the receipt of parental consent for the assessment. 19. Beginning not later than the IEP in effect when a pupil becomes 16 years of age (or younger if appropriate), his or her IEP must have postsecondary goals that are based on age-appropriate transition assessments related to training, education, employment, and where appropriate, independent living skills, and transition services needed to assist the pupil in reaching the postsecondary goals. Thereafter, the postsecondary goals and transition services shall be updated annually. 20. Transition services for high school students are an essential component of a FAPE. The objective of transition services is to facilitate the movement of high school pupils with disabilities from school to post-school activities, including “postsecondary education, vocational education, integrated employment, including supported employment, continuing and adult education, adult services, independent living, or community participation.” The transition laws place an affirmative duty on the school districts to conduct transition assessments in order to develop appropriate postsecondary goals. 21. To determine whether an LEA offered a FAPE, including transition services, the IEP must meet both the procedural and substantive requirements of the reauthorized Individuals with Disabilities Education Improvement Act (IDEA 2004). Not every procedural violation is sufficient to support a finding that a student was denied a FAPE. To constitute a denial of FAPE, the procedural inadequacy must have (a) impeded the child’s right to a FAPE, (b) significantly impeded the parent’s opportunity to participate in the decision making process regarding the provision of FAPE, or (c) caused a deprivation of educational benefits. 22. Student turned 16 years of age in July 2006. For the 2006-2007 school year, he contends that the LEAs had not conducted reliable, complete transition assessments related to his training, education, employment, and independent living skills. Bellflower and Montebello contend that multiple assessments had been conducted that complied with the requirements for transition assessments. 23. On February 22, 2006, when Student was in 10th grade at Mayfair, Bellflower convened an IEP meeting for an annual review of his progress and placement, and to offer him an ITP as part of his IEP. The appropriateness of the IEP offers made at those meetings, and the assessments the offers were based on, are beyond the applicable two-year statute of limitations and are therefore not at issue in this proceeding. 5 Nevertheless, the assessments and IEPs are relevant to determine the information known to the parties as of September 11, 2006, what transition-related assessments had been conducted by then, and what IEP transition services were then in effect based on those assessments. 24. The February 2006 IEP team members reviewed Student’s academic and functional progress, and speech and language, APE, and augmentative communication assessments. Robert Frankeberger, a Bellflower speech and language pathologist, reported to the IEP team that he saw Student twice a week for speech therapy sessions but thought the sessions should be reduced to support the use of augmentative communication devices. Mr. Frankeberger’s annual reassessment review was informal and there was no written report. Student was primarily a non-oral communicator who relied on gestures and augmentative voice output devices. This reassessment was related to his postsecondary transition to be able to communicate his wants and needs in any future educational or vocational setting, as well as in the community. 25. LACOE augmentative communication specialist Laura Dean Miller conducted an observational assessment for the annual IEP. Ms. Miller obtained a Bachelor’s degree in speech in 1968, a Master’s degree in speech pathology and audiology in 1992, a Master’s degree in education administration, and has many years of experience as an audiologist and speech therapist in the area of augmentative communication. She had first assessed Student for LACOE in 1998 and provided support and consultation to Bellflower for its speech and language therapy services for him. In 2006, she found that he had made little progress since his last IEP utilizing three communication devices on loan from LACOE to his classroom: Bookworm, Step-by-Step, and Go Talk 9. The Bookworm used colored buttons to match up a specific reading passage on attached pages but did not have pictures on the buttons for Student to understand the matching function. The Step-by-Step was a conversational exchange device that used a programmed script to tell a story about Student’s weekend, for example, to another person. This device enabled Student to initiate a conversation. The Go Talk 9 had nine picture squares with corresponding picture overlays that could be changed, and Student could press the square for the picture that represented what he wanted to communicate. 26. Ms. Miller interviewed Student and the classroom staff to evaluate his functional use of the devices. She established that he was not using Bookworm and recommended its return to LACOE. She established that Student used the GoTalk 9 routinely during his speech sessions and in the community, and was able to use six of the nine picture squares appropriately. He used the GoTalk 9 to make a choice of an activity or when playing a game. However, Ms. Miller established that Student preferred to comment orally or by gesture and needed some cuing to use any of the devices. Ms. Miller found that he only used the Step-By-Step device on a limited basis, as it needed to be programmed by an adult with a new story or event at least weekly. 27. The February 2006 IEP team’s annual review assessed Student’s then-present levels of academic and functional performance. Student could not functionally speak or read. He had good attendance at school, could recognize his name but not write it on his own, could match a series of four-letter word safety signs and protective vocabulary, could match coins but not identify all consistently, and understood some concepts of quantity such as big/little, and could sort by color and shape. Student’s social and emotional functioning showed that he was pleasant and well-liked by his peers, enjoyed group games such as bingo or cards, but occasionally would grab or throw things. His psycho-motor development required APE services. The APE teacher reported that Student could navigate his manual wheelchair around the school with supervision, 6 and that he could get into and out of the wheelchair with little help. He wore braces and used a walker at home but not at school. He liked to use the computer, sit at tables with other pupils, and could pick up small items with a pincer grasp. 28. Student’s prevocational and daily living skills in the classroom were reviewed as well. He could put away classroom materials when asked and enjoyed helping in the classroom. However, he would occasionally refuse to do tasks, and sometimes quit a task before he was done. He could not do a lot of tasks independently and worked better on a one-to-one basis. In the area of self help and adaptive behavior, Student was able to choose his own lunch or snack but sometimes preferred not to. He would try to wipe his face, hands and lap after eating. However, Student wore diapers and depended on adults for his toileting. He did not tell someone, or did not know, when he needed to go to the bathroom or needed to be changed. 29. The February 2006 IEP team knew from the annual review and their discussion of Student’s unique needs that he needed to develop basic daily living and prevocational skills. The team offered Student an ITP to begin developing postsecondary transition services and related goals. The assessments conducted and relied on by the IEP team included the informal academic, functional, speech and language, APE and ACC reassessments discussed above. These areas of assessment related to his postsecondary transition needs regarding further basic education, oral and written communication, and independent living skills. However, there was no employment or prevocational assessment related to Student’s postsecondary interests or preferences. 30. As set forth in Factual Findings 39 and 58, Dr. John Johnson analyzed Bellflower’s and Montebello’s ITPs for both the 2006-2007 and 2007-2008 school years, met with Student and his father, evaluated Student’s transition needs, and issued a written report in February 2009. He has been an Associate Professor in the Department of Special Education of San Diego State University for nine years, teaches courses in transition, and has authored numerous publications in the area of transition. He obtained a Master’s Degree in Special Education in 1983, and a Ph.D in Education in 1993. Dr. Johnson persuasively established that the LEAs had not assessed Student’s employment preferences or interests. Student was 16 years old and there was no indication the LEAs knew what he might be interested in pursuing after high school. Dr. Johnson also established that the LEAs had not adequately assessed Student’s prevocational skills and needs and that the LEAs should have assessed him by observing him in work or independent living activities, such as a situational or functional assessment in the classroom or in the community. As set forth above, the annual review included some prevocational observations of Student performing tasks in the classroom, but there was little information evaluating his prevocational levels of performance, such as the ability to understand and follow instructions; to complete tasks; to follow rules, including being on time; to focus and pay attention to detail; and to understand safety for himself and others. Aside from the general determination that Student was prevocational, the LEAs did not assess his prevocational training skill interests or needs. 31. The evidence therefore supports Student’s contention that, beginning on September 11, 2006, for the 2006-2007 school year in 11th grade, the LEAs had not conducted age-appropriate transition assessments related to the areas of employment preferences and interests, and prevocational training. The annual reassessments showed that Student was prevocational, with no job experience and little job awareness. Due to Student’s limited cognitive and academic functioning, Student’s independent and self-help living skills were an appropriate transition concern. His self-help skills were reviewed and known to the IEP team, including his lack of initiation, knowledge of safety signs, ability to dress his upper body and eat, need for adult assistance to dress his lower body and for toileting, and needs for a one-to-one aide and frequent prompting. Thus, these assessments were all related to Student’s postsecondary education and independent living needs as required by law. However, the LEAs’ assessments for Student did not assess him in the areas of employment interests and prevocational training. 32. Based on the foregoing, as of September 11, 2006, Bellflower’s and Montebello’s failure to assess Student in the areas of employment and training as required by law violated the transition assessment laws. However, as set forth in Factual Findings 36 through 43, the LEAs completed a vocational assessment of Student on September 27, 2006, and held an IEP meeting on October 30, 2006, to discuss the assessment. Thus, this violation of the assessment laws was immediately remedied. No further remedy for this violation was requested or is warranted. 33. For the 2005-2006 school year in 10th grade, Student and other pupils filed compliance complaints against Montebello with CDE regarding its provision of postsecondary transition assessments and services. By March 2006, CDE had conducted investigations and determined that Montebello was out of compliance with special education laws and/or regulations pertaining to postsecondary transition assessments and services. CDE did not name Bellflower or LACOE as LEAs responsible for Student’s transition assessments and services. 34. Dr. Terry Poulos was a special education program consultant with CDE from December 2005 to January 2008, and monitored Montebello’s compliance with the orders. CDE issued corrective action orders to Montebello in March and August 2006, requiring Montebello to offer compensatory education related to postsecondary transition to certain pupils including Student; to provide staff training sessions on IEP transition services; and to complete “student interest inventories and functional vocational assessments” for certain pupils, including Student. In addition, Dr. Poulos established that CDE also ordered Montebello to explore, pursuant to assessment recommendations, “different alternative augmentative communication devices” and to establish a toileting schedule for him, among other orders. 35. The specific violations CDE found for the 2005-2006 school year are not in the record and, in any event, would not be dispositive of the issues in the present case, which involve different school years and issues. CDE conducts limited investigations, has 60 days to investigate and issue a report regarding technical compliance, and does not have jurisdiction to determine whether any violation may result in a denial of a FAPE. 7 Therefore, the 2006 CDE orders were considered in evaluating the timing of the LEAs’ transition assessments and service offers in 2006, but otherwise accorded little weight. 36. Subsequent to the CDE corrective action orders discussed above, Montebello offered Student a vocational assessment and contracted with Linda Skipper, a Regional Occupational Program (ROP) and transition specialist with Bellflower, to conduct the assessment. 8 In addition, in August 2006, Ms. Tilton interviewed Student to find out what his occupational interests or preferences were. 37. Ms. Skipper conducted a vocational assessment of Student at Mayfair and issued a report on September 27, 2006. She has a Bachelor’s degree in occupational studies and vocational arts with an emphasis in transition, and a Master’s degree in education administration. Ms. Skipper administered the Personal Data Wizard Interest Survey (PDWIS) and the Reading-Free Vocational Interest Inventory (R-FVII). The PDWIS was an internet based assessment containing over 500 digital photographs. Ms. Skipper verbally explained the pictures to Student and tested for comprehension. He identified six out of 10 as “vocations” correctly. Student controlled the computer mouse to make his choices of vocations that interested him but, due to his fine motor deficits, was not able to scroll down the screen page. The R-FVII was a non-reading inventory that used pictures illustrating occupational situations, and Student’s comprehension was similar to that for the PDWIS. His highest percentiles of employment interest were in the areas of patient care and laundry service, and these areas reflected settings that were familiar to him. Student’s augmentative communication device was not working at the time of the assessment. However, Student was able to complete the assessment without the device. 38. Ms. Skipper also reviewed a SCANS Work Readiness Evaluation with Student’s SDC teacher, Ms. Tilton. Ms. Tilton’s responses placed him in the “needs development” category in all areas. During the assessment, Ms. Skipper found that he had a noticeable odor of urine. She did not assess his self help skills. Ms. Skipper confirmed that Student was in a prevocational stage. She was persuasive that his limited ability to communicate and his hygienic odor problem could hinder his ability to acquire gainful employment. In addition, due to his physical and functional limitations, she concluded that it was unlikely that he would be successful on his own in seeking or retaining employment. Ms. Skipper testified persuasively that Student needed work experience and prevocational training in high school, and would benefit from continued postsecondary education in an adult transition program, including a sheltered workshop setting, where he could continue to explore possible vocations and work on daily living skills. 39. Dr. John Johnson, Student’s transition expert, analyzed the LEAs’ ITPs for both the 2006-2007 and 2007-2008 school years, and issued a written report in February 2009. In his report, Dr. Johnson did not consider that any of the LEAs’ assessments qualified as “transition assessments” except for the September 2006 vocational assessment, and the December 2006 Transition Planning Parent Interview. 9 He concluded that no age-appropriate assessments related to the required areas of postsecondary transition concerns had been conducted by the LEAs prior to the September 2006 vocational assessment. That conclusion was incorrect because, as set forth in Factual Findings 22 through 54, the annual reassessments conducted before the February 2006 IEP were related to Student’s postsecondary education and independent living needs as required by law. However, Dr. Johnson was correct that Montebello had failed to adequately assess Student in the required transition-related areas of employment and prevocational training by September 11, 2006. 40. Regarding the September 27, 2006 vocational assessment, Dr. Johnson testified that both of the employment interest surveys utilized by Ms. Skipper were not developmentally appropriate for Student. He testified that the PDWIS, developed by Humboldt State University, was designed for pupils without disabilities, and that the R-FVII was normed for pupils with mild intellectual disabilities. Dr. Johnson therefore questioned how much Student may have comprehended based on his limited cognitive functioning and experience, and young developmental age of a two to four-year old, and “suspected” that he did not understand much. Dr. Johnson’s testimony on this point was not persuasive. 41. The law’s requirement for “age-appropriate” transition assessments does not specify whether it refers to developmental or chronological age. The employment interest surveys do not assess a pupil’s skills in any vocational area. They are tools to discern what a pupil’s possible areas of preference and interest may be. Student was over 16 years old when the vocational assessment was conducted. No test protocols were introduced into evidence, and there was no evidence that the test manufacturers of either survey required Student to read anything in order to be properly assessed, or whether developmental age was a factor to be considered. Both interest surveys were pictorial in nature. Student was able to independently move the computer mouse to show if he was interested in any of the occupational areas depicted (except for scrolling). Moreover, Ms. Skipper was careful to test Student’s comprehension, found a 60 percent accuracy rate, and took that into consideration. Thus, Student did not establish that being provided with adult help to have the pictures and employment areas explained to him invalidated this assessment. The results indicated that Student expressed an interest in working in the areas of patient care and laundry service, which were functional areas familiar to him. The LEAs were required to take Student’s preferences and interests into account in developing transition services and the results reflected his limited cognitive ability and experience. 42. Dr. Johnson was also critical of Ms. Skipper’s use of the SCANS Work Readiness Evaluation because, in his opinion, it was of questionable validity for pupils with significant intellectual disability. However, he did not explain what he meant or how it operated to invalidate her vocational assessment. As set forth in Factual Findings 37 and 38, Ms. Skipper was a qualified transition specialist and had discretion to select appropriate assessment instruments. 43. Based on the foregoing, the evidence established that the September 2006 vocational assessment of Student’s employment interests and preferences and prevocational work readiness was valid, and that the limited results reflected Student’s limited cognition, functional skills, and exposure to vocational options. The assessment occurred shortly after the beginning of the 2006-2007 school year, and 16 days after the September 11, 2006 statute of limitations date. Assuming that a 16-day delay between September 11, and September 27, 2006, when the assessment was completed, constituted a procedural violation, it did not impede Student’s right to a FAPE, and requires no remedy. In any event, the violation was immediately remedied because the LEAs completed the vocational assessment and held an IEP meeting on October 30, 2006. Therefore, no further remedy is warranted at this time. 44. On October 30, 2006, Bellflower timely held an IEP meeting as required by law to review the September 2006 vocational assessment and update Student’s IEP and ITP. Ms. Skipper presented the results of her assessment to the IEP team. She recommended The Arc of California as a sheltered or supported work activity and training program for Student to experience working and learn some prevocational skills. In addition, the team discussed Lincoln as another option. Lincoln, an NPA, is a sheltered workshop center that works in partnership with schools and employs pupils aged 16 years or older and adults with developmental disabilities who need a more restrictive and less challenging job environment. It provides on-the-job vocational training, work experience, and supervision. However, Bellflower did not have supplemental community work programs for high school pupils, and the parties agreed to continue the discussion at an IEP meeting in December 2006. 45. On December 18, 2006, Bellflower convened another IEP meeting to investigate options for augmentative communication devices and discuss the vocational instruction issue. Montebello was present at the meeting. The team discussed Student’s ITP in light of Ms. Skipper’s recommendation for supported or sheltered work experience, and the lack of such a program at Bellflower. The team discussed transferring Student to Montebello, because Montebello could offer sheltered employment workshop services through its service contract with Lincoln. The team, including Parent and his representative, agreed to continue the discussion of Student’s employment development to the next IEP meeting in February 2007, which would be his triennial assessment IEP. Parent signed an assessment plan for comprehensive triennial assessments on December 18, 2006. The LEAs had 60 days from that date to complete the assessments and review them at an IEP meeting. 46. Pursuant to the December 2006 assessment plan, the LEAs were obligated to conduct assessments of Student in the following areas: cognitive development and learning potential; academic; adaptive behavior; social and emotional; motor performance and physical fitness; psycho-motor development and perception; language, speech and communication; occupational therapy and assistive technology, and transition. In December 2006, Ms. Tilton, the Bellflower SDC teacher, conducted a Transition Planning Parent Interview with Parent, in order to obtain his input and learn of his concerns regarding Student’s postsecondary transition activities. The interview results reported that Parent had low expectations for his son’s future. Parent did not think Student would be able to work after high school; was not aware of any agencies that might assist them after high school other than the Regional Center; thought Student did not have any hobbies, interests, or recreational activities; and that Parent’s primary concern was to help Student become more independent in case something happened to Parent. This information regarding Parent’s concerns supplemented the vocational assessment’s regarding Students employment preferences and interests. The February 2007 IEP team reviewed Parent’s concerns. 47. The February 2007 triennial IEP team reviewed Student’s speech and language assessment report dated January 22, 2007. Mr. Frankeberger, Bellflower’s speech and language pathologist, reported to the IEP team that Student primarily used augmentative communication devices, gestures, noises, facial expressions, actions, pointing, pictures, and some speech or attempted speech for expressive communication. Student’s limited verbal skills involved articulation deficits that made it very difficult to understand him. Mr. Frankeberger reported that Student was then using three voice output devices on loan from LACOE to his classroom, the Step-by-Step, the Go Talk 9 Plus (+), and the BigMac. Student could understand language at a basic conversation level and exhibited pragmatic communicative intent. He had good eye contact but required some prompting to maintain focus for a reasonable amount of time. This speech and language assessment was related to Student’s transition needs as it dealt with his ability to communicate orally and non-orally in postsecondary education, training, employment, and self-care settings. 48. The February 2007 IEP team reviewed a psychoeducational assessment report of Student dated February 17, 2007, by J. David Miller, a credentialed school psychologist with Bellflower. Mr. Miller assessed Student’s cognitive functioning using the Naglieri Nonverbal Ability Test (NNAT) and the Southern California Ordinal Scales of Development (SCOSD) test. For social emotional and adaptive behavior, Mr. Miller administered the Adaptive Behavior Assessment System-Second Edition (ABAS-II) teacher and parent surveys, and the Behavior Assessment Scale for Children-Second Edition (BASC-2) teacher and parent rating scales. He also reviewed Student’s records, including the vocational assessment. Mr. Miller reported that Student’s cognitive functioning was in the deficient range, with a preoperational intuitive thought level, at most, of that of a four to seven year old child, and generally that of a two to four-year old. Mr. Miller found that Student’s adaptive behaviors, including adaptability, social skills, leadership, daily living activities, and functional communication, were deficient and in the clinically significant range. This psychoeducational assessment related to all transition areas, including postsecondary education, employment, training, and independent living skills, in that Student’s limited cognitive and adaptive development must be considered in working toward realistic postsecondary goals and services to help him progress. 49. The February 2007 IEP team reviewed an augmentative communication assessment report of Student dated January 12, 2007, by Cynthia Cottier, an augmentative communication specialist with Augmentative Communication Therapies (ACT). Montebello referred Student to ACT, and the assessment was conducted at Mayfair. Ms. Cottier assessed his augmentative communication needs by observation and direct interaction and did not conduct formalized testing. Student’s preferred or instinctual means of communication was to attempt speech, which was usually unintelligible. She concluded that, at the age of 16 and a half, his speech would probably not improve sufficiently to be a reliable means of primary communication, rendering augmentative communication systems a suitable alternative. She found that Student exhibited the most accuracy when the message areas of the devices were at least one inch by one inch in size. 50. Ms. Cottier assessed Student’s use of four augmentative communication systems that were available to him at Mayfair. He had a picture communication notebook with picture boards in English and Spanish. He was able to flip the pages to point to the intended picture, but did not use it as a primary means of expressive communication and needed to be prompted to use it. Student had a Go Talk 9+, with 12 picture squares and several overlays that he was able to pull out and change. He was able to select appropriate messages during structured tasks but did not initiate its use and needed prompting. He also had access to a Step-by-Step device for conversation with his peers, and the BigMac, a single message device. Ms. Cottier showed Student various dynamic display systems that automatically and quickly changed to specified vocabulary when a particular message area was selected. She reported that Student responded positively to the DynaVox Minimo, and recommended its use to the triennial IEP team. This augmentative communication assessment assessed Student’s skills and needs for expressive and receptive methods of communication related to all postsecondary areas of development. 51. The February 2007 IEP team reviewed and relied on an occupational therapy assessment report of Student dated February 6, 2007, by Harpreet Khandpur, an occupational therapist with Gallagher Pediatric Therapy (GPT). Montebello requested the assessment and reported concerns to GPT about Student’s functional gross motor, fine motor, and sensory processing. At that time, Student received occupational therapy and physical therapy consultation services through California Children’s Services (CCS). 10 Mr. Khandpur reviewed prior records and assessed Student at Mayfair in his classroom and snack areas, and his one-to-one aide was present. Mr. Khandpur concluded that Student did not need direct occupational therapy services during school. He had adequate strength and upper body muscle tone and functional gross motor abilities to safely maneuver his wheelchair at school and good sitting balance. Student’s fine motor strengths included bilateral hand use for the classroom and self-care tasks. Mr. Khandpur reported that the classroom teacher and the aide were able to assist with Student’s self-care needs, including toileting and eating, and recommended that Student be given opportunities to practice self-care activities for feeding, opening packages, and dressing during the school day to encourage independence in life skills. This occupational therapy assessment was related to Student’s transition needs and skills for increased fine and gross motor development and independent living skills in all postsecondary areas of concern. 52. Effective April 17, 2007, Student transferred from Bellflower to Montebello for the last few months of 11th grade. Although Student’s home high school of residence in Montebello was Bell Gardens High School, he was placed at MHS to access its SH/SDC and its sheltered work experience partnership with Lincoln. Montebello held an IEP meeting on April 16, 2007 and offered a 30-day interim placement while it evaluated his levels of performance and needs. 53. Montebello convened another IEP meeting on May 17, 2007, and the IEP team considered Student’s prior assessments and levels of performance discussed above. In addition, in preparing for that IEP meeting, Montebello SDC teacher Diana Hernandez conducted transition interviews with Student and Parent, and an employment interest survey with Student to learn of their interests, preferences, and concerns. Montebello offered an educational placement and related services and a new ITP that included enrollment at Lincoln in May 2007 for vocational work experience and training. Parent agreed to the Lincoln work experience program, but did not consent to the IEP. 54. Based on the foregoing, for the 2006-2007 school year, as of September 27, 2006, the LEAs had complied with the legal requirements to conduct transition assessments of Student related to education, employment, training, and independent living skills. The LEAs conducted comprehensive assessments in all areas related to his unique needs. Accordingly, there was no violation of the assessment laws for that period, and no denial of FAPE was established. 55. Student contends that for the 2007-2008 school year in 12th grade, the LEAs were required to timely and appropriately assess his transition needs, including a situational assessment at Lincoln. Montebello contends that all transition assessments required by law were conducted. 56. For the 2007-2008 school year, Student continued in the Lincoln work experience program. By the next annual IEP that would occur in the spring of 2008, Montebello was required by law to reassess Student by reviewing the existing data, updating his transition goals and services, and deciding if any additional data was necessary to determine his needs, program and services. 57. An IEP meeting was held on October 10, 2007. Student had been working at the Lincoln Training Center two times a week since May 2007. The evidence established that Lincoln provides sheltered prevocational and vocational experiences to persons with moderate to severe disabilities including piece work and assembly line work such as packaging. On October 4, 2007, Michael Zamora, who was a transition work skills specialist at Lincoln, conducted an observational or situational assessment of Student’s work skills, and submitted a written evaluation to Montebello for the IEP meeting. Mr. Zamora evaluated Student in the areas of relations with others, attitude – application to work, judgment, dependability, ability to learn, and quality of work. The rating scale ranged from a one for poor, to a five for exceptional. Student scored a three or four in most categories, and only obtained a score of two in the area of ability to learn (“rather slow to learn”). His attendance and punctuality were noted as regular. Mr. Zamora commented that Student made a good attempt at all jobs presented to him and got along with all peers and staff. 58. Dr. Johnson was critical of Mr. Zamora’s report and testified that it was not a situational assessment of Student. Rather, he called it a standard work performance evaluation. A situational or functional assessment focuses on what a person can do and what he needs to learn to do in the natural, functional environment while performing tasks. Mr. Zamora’s evaluation covered both what Student could and could not do because the rating scores identified areas of deficit in the lower range of scores, including things like using poor judgment. The evaluation was not optimal; it was not detailed or comprehensive and did not address completion of tasks, for example. However, Student did not establish that the LEAs situational observation of him in the work and training environment of Lincoln was not appropriate. 59. On March 4, 2008, Montebello convened Student’s annual IEP meeting for 12th grade. The IEP team reviewed informal annual reassessment information in all areas related to Student’s unique needs, including augmentative communication, and a written functional occupational therapy status assessment from CCS. Prior to the end of the school year, Montebello convened another IEP meeting on May 28, 2008, for the purpose of replacing an augmentative communication device. Montebello agreed to conduct an observation of Student’s use of the new device prior to an IEP meeting scheduled for July 2008. The evidence established that no one requested an assessment of Student outside of the annual reassessment obligation for the 2007-2008 school year, and that no exceptional circumstances otherwise called for a new assessment in any area of need. 60. Based on the foregoing, for the 2007-2008 school year in 12th grade, Montebello timely conducted an annual reassessment of Student and no further assessment was requested or is warranted. Accordingly, there were no transition-related assessment violations for the 2007-2008 school year. 61. Student’s complaint contends that the LEAs denied his and Parent’s meaningful participation in an IEP meeting on December 18, 2006. However, Student’s closing brief contends that the LEAs denied their meaningful participation in IEP meetings for both school years, including not engaging Parent in meaningful dialog. Bellflower and Montebello contend that Student and Parent were aware of, and received valid notice of the IEP meetings, were represented by legal counsel, and had full opportunity to participate in the meetings. 62. Student’s issues for hearing are limited to those set forth in his complaint. As framed in the Issues section of this decision, Student’s complaint about lack of meaningful participation is limited to the IEP meeting on December 18, 2006. Student’s complaint claimed that he was not invited to that meeting, and that the IEP meeting notice failed on its face to inform Parent that transition services would be discussed. For the 2007-2008 school year in 12th grade, Student did not describe any problem about lack of meaningful participation in any IEP meeting. He did not seek to amend the complaint as to this issue prior to hearing. Therefore, no other IEP meetings are at issue with respect to this problem. 63. The LEAs’ version of the December 18, 2006 IEP documents admitted into evidence is Exhibit M2. Student’s version of that IEP is Exhibit S32. Neither of these exhibits contains a written notice scheduling the IEP meeting. Parent did not testify about the December 2006 IEP meeting and did not testify about any lack of adequate notice of the meeting. In addition, as set forth in Factual Findings 44 and 45, the IEP team, including Parent, agreed at the October 2006 IEP meeting to continue the discussion of Student’s transition plan and vocational services at the December 2006 IEP meeting. For both of those meetings, Parent was present and he and Student were represented by Allyson Stockton, an advocate with the Learning Rights Law Center. Parent and Student therefore had advance notice that transition services would be discussed at the meeting. 64. Based on the foregoing, Student did not meet his burden to establish lack of adequate notice of the December 2006 IEP meeting, or that he and Parent were denied meaningful participation in that meeting. Therefore, there was no procedural violation and no denial of FAPE. 65. Student contends that the LEAs’ postsecondary goals for both the 2006-2007 and the 2007-2008 school year denied him a FAPE because, procedurally, they were not based on required transition assessments, not linked to Student’s unique transition needs, not measurable, and were otherwise substantively inappropriate. Bellflower and Montebello contend that the postsecondary goals for both years met all legal requirements and did not deny Student a FAPE. 66. An IEP must include measurable annual goals designed to meet the pupil’s needs that result from the disability to enable him or her to be involved in and make progress in the general education curriculum and meet the pupil’s other educational needs that result from the disability. The law requires that the IEP must include appropriate measurable postsecondary goals based on age-appropriate transition assessments. An IEP is to be evaluated in light of information available at the time it was developed, and is not to be evaluated in hindsight. If the IEP does not conform to these procedural requirements, it may constitute a denial of FAPE if the violation significantly impeded a parent’s right to participate in the decision making process, impeded the pupil’s right to a FAPE, or caused a deprivation of educational benefits. For a school district’s IEP to offer a substantive FAPE, the proposed program must be specially designed to address the pupil’s unique needs, and be reasonably calculated to provide some educational benefit. 67. The LEAs included transition plan forms as separate pages in the IEP documents. Both Bellflower and Montebello called their transition planning forms ITPs. For the 2006-2007 school year, from September 11, 2006 to April 17, 2007, Bellflower’s ITP form was two pages. From April 17, 2007 through the 2007-2008 school year, Montebello’s ITP form was three pages. Although the formats of the forms for both school districts varied slightly, they both contained similar information. The first section on Bellflower’s form was labeled “Long Range Goals/Desired Post-School Outcomes,” and on Montebello’s form the first section was labeled “Desired Post-School Outcomes.” The purpose of the first section was to set forth a pupil’s long-range postsecondary goals. The second page of Bellflower’s form and the next two pages of the Montebello form contained specific transition-related “Activities” in the following areas: instruction or education; community participation or experience; employment and other post-school or adult living objectives; daily living skills; functional vocational evaluation; and, for Montebello, additional transition services/activities. In addition, there was a column next to each proposed annual transition activity for a statement of the pupil’s present level of performance or statement of needs. 68. Student’s contentions rely heavily on Dr. Johnson’s testimony and detailed written analysis that the ITPs for both school years were inappropriate. Dr. Johnson reviewed the IEPs, ITPs and assessments, and interviewed Student and Parent. Dr. Johnson examined all of the ITPs and transition goals for both years utilizing the “minimum accepted professional standards” as delineated in a reporting instrument called the Indicator 13 Checklist. The Indicator 13 Checklist addresses transition services and was designed by the National Secondary Transition Technical Assistance Center (NSTTAC) to assist states in planning and reporting special education data to the United Stated Department of Education’s Office of Special Education Planning (OSEP). Indicator 13 addresses the 13th OSEP reporting category, that of transition services. Dr. Johnson established that the Indicator 13 Checklist covers 20 specified criteria for professional standards and evidence-based practices in transition planning and services. However, Dr. Johnson, who is not an attorney, did not establish that the Indicator 13 checklist criteria were incorporated into the IDEA or California special education law by either amendment of the applicable statutes or regulations. There is no legal requirement that a school district’s postsecondary goals and transition services in an IEP must comply with Indicator 13 in order to provide a FAPE. 69. Dr. Johnson combined education and training into one category (as did both school districts), and analyzed employment and independent living skills as separate categories. For each of the three main categories, Dr. Johnson established that Indicator 13 addresses six questions, imbedded within which are the 20 professional standards. The first question was “were there any measurable postsecondary goals?” Based on Dr. Johnson’s analysis, he found that all of the ITPs for both school years involved the “clear and unequivocal absence of measurable post-secondary goals….” Consequently, the ITPs failed each of the other five questions as well. As discussed below, Dr. Johnson’s general rejection of all of the LEAs’ postsecondary goals was not persuasive. His analytical approach did not provide for flexibility, nor did it analyze the ITPs in the context of the IEPs. For example, where there was no functional communication goal in an ITP, the fact that the IEP had an augmentative communication goal was not taken into consideration. 70. Dr. Johnson’s criticism of the poor organization and writing of the LEAs’ ITPs was well-founded but that did not establish that the goals were invalid. For example, he was critical of the LEAs’ use of checkboxes on the form, and insisted that postsecondary goals must be written in declarative statements. There is no such legal requirement. For example, in the February 2006 Bellflower ITP, a long range postsecondary goal checked for Student in the area of post-school living options was “Live with Family.” And, in the May 2007 Montebello ITP, the long range postsecondary goals, called “Desired Post-School Outcomes” instead, had a check in the box under the “Employment/Career” category for “Work/Activity Center/Program.” Dr. Johnson concluded that these were not measurable postsecondary goals because he could not tell when they would occur. He concluded, despite the phrase “post-school,” that none of the goals in any of the ITPs were “stated or intended” to occur after exiting or completing high school. Moreover, he opined that “work/activity center” was not an observable behavior but a category. 71. Dr. Johnson criticized the LEAs’ use of the word “activities” to describe the specific annual goals proposed in the various categories to support the long range postsecondary goals in the ITPs for the 2006-2007 school year. Because an IEP is an annual program for education and services for children with disabilities, annual goals or activities constitute the transition plan or path from high school to the potential accomplishment of the long range postsecondary goals. Bellflower’s ITP form called the specific annual goals on the road to the postsecondary goals “activities.” Montebello changed the label from “activities” to “goals” in the May 2007 ITP form. Whether the annual events were called annual goals, activities, or services would appear to be a matter of form, not substance, and does not establish a violation of the law. Thus, Dr. Johnson was not persuasive on this point. 72. The LEAs offered the testimony and analysis of transition expert Dr. Gary Greene to counter Student’s contentions. Dr. Greene has been a professor of special education at the California State University in Long Beach for 16 years and obtained a Ph.D in special education in 1986. He holds multiple California teaching credentials and has served on the CDE’s Transition to Adult Life Leadership Team, taught college-level transition courses, and developed training materials to assist school districts to train staff in the area of transition planning and services. In addition to reviewing the LEAs’ IEPs and ITPs for Student, Dr. Greene reviewed Dr. Johnson’s report, and observed Student both in class at MHS and at his current vocational training job at the Lincoln Training Center (Lincoln), a private, nonprofit sheltered workshop center. Dr. Greene credibly established that Montebello’s “Desired Post-School Outcomes” were postsecondary goals after high school and involved objective measurable events or behaviors that would either occur or not. While conceding that he has seen school district transition plans that did not use checkboxes and were better organized and written, he persuasively established that Montebello’s ITP format contained all elements required by law to be addressed for transition planning. 73. Dr. Greene’s credibly established that the transition plan was a process that evolved over time as a pupil’s preferences and skills changed. The law required the LEAs to take Student’s unique needs, strengths, preferences and interests into account to create transition goals and services in the IEPs to help prepare him to choose from a wide variety of post-school options, and to develop his prevocational, vocational, educational, employment and independent living skills to develop and grow toward gainful employment as an adult. Student did not establish that the law requires exact dates for long range multi-year postsecondary goals in order for them to be measurable. The law did not require the LEAs to pin down specific job categories for Student, or to target specific dates by which he would, for example, become a greeter at a retail store, or enroll in specific post-school job training. Dr. Greene was persuasive that the long range goals listed in Montebello’s ITPs for 12th grade were measurable and referred to activities that would take place after high school. He was also persuasive that Bellflower’s and Montebello’s long range goals for Student’s independent living, which provided community access for recreation and living at home with his family, while not specific, were appropriate to address his needs and measurable as post-school occurrences. Dr. Greene’s analysis reviewed the general contents of the ITPs and the relationship between the subjects or categories to valid transition objectives. To that extent, he was persuasive that the ITPs for 11th grade did not comply with the law, and that the ITPs for 12th grade addressed everything the law required, as discussed further below. However, Dr. Greene did not analyze the appropriateness of the ITP goals in relation to Student’s unique needs. That issue is also addressed below. 74. Student contends that the LEAs’ postsecondary goals for the 2006-2007 school year did not comply with the legal requirements for transition planning and services, were otherwise substantively inappropriate, and denied him a FAPE. Bellflower and Montebello contend that the postsecondary goals in Student’s ITPs for 11th grade complied with the law. 75. At the annual IEP meeting on February 22, 2006, the IEP team reviewed and completed the ITP portion of the IEP documents, which offered Student postsecondary goals and transition services. The appropriateness of that ITP must be evaluated as of September 11, 2006, when it was in effect. In the area of education and training, the LEAs offered Student a “transition program” after high school through Bellflower. This was offered instead of other listed choices for adult school, community college, vocational training, and “adult day activity center/community based program.” Since a transition program after high school for a pupil who will continue to receive special education services is required by law, this did not constitute a valid postsecondary goal as there was no indication what it would entail. The ITP did not offer Student any long range goal in the area of employment. While it is possible that the transition program would address vocational training, the vocational training box was not checked. The long range goals for community and independent living, to have access to community resources and services such a shopping and banking, and living with his family were adequately stated. 76. Dr. Johnson’s criticism of the February 2006 ITP in effect in September 2006 was well founded. As set forth in Factual Findings 22 through 38, the LEAs did not assess Student’s employment or prevocational skill levels and needs necessary to become employable until September 27, 2006. Since Student’s prevocational skills had not been assessed as of September 11, 2006, the long range postsecondary goals were not based on a complete transition assessment as required by law. Moreover, the LEAs did not offer any annual goals or services to support the long range goals, except for community and daily living goals. For community participation, the ITP merely observed that Student “might” benefit from after school or weekend recreation. For daily living skills, the ITP suggested he could help out at home. These goals or activities were vague and not measurable. The activity boxes and statements of Student’s levels of need were blank. Accordingly, the ITP in effect on September 11, 2006, offered no long range postsecondary or annual employment or vocational goals, contained a vague education goal for the 2006-2007 school year, and was not based on a transition assessment, as required by law. The LEAs therefore committed a procedural violation of the transition laws. This procedural violation impeded Student’s right to a FAPE and significantly impeded Parent’s opportunity to participate in the IEP decision-making process because required areas of his postsecondary transition were not addressed and were not discussed in the IEP meetings. Student was therefore denied a FAPE. 77. An appropriate remedy for this violation would be to order the LEAs to conduct an adequate vocational assessment and offer long range postsecondary and annual transition goals that addressed Student’s transition needs. However, as set forth in Factual Findings 36 through 43, the LEAs conducted a vocational assessment on September 27, 2006, and held an IEP meeting on October 30, 2006. After review of the vocational assessment, the October 2006 ITP was not significantly different from the February 2006 ITP and remained deficient. The only change to the long range education and training goal was to replace Bellflower with Montebello for the vague, post-school transition program. No long range or annual vocational goal was added for sheltered work experience as recommended by Ms. Skipper. Bellflower did not have a program to offer, and Parent agreed to continue the discussion to the December 2006 IEP meeting. As set forth in Factual Findings 44 and 45, at the December 2006 IEP, the parties again agreed to postpone the transition discussion to the next annual IEP meeting in February 2007, and the procedural violation continued. 78. At the February 2007 IEP meeting, the LEAs did not add a long range postsecondary employment goal to the ITP but added an explanation why there was no goal: because Student was “at the interest level right now. He needs to develop some basic skills before he can be considered for any employment.” This approach violated the legal requirement to have a postsecondary employment goal in the IEP. It was short-sighted and did not take Ms. Skipper’s vocational assessment into consideration. The IEP documents as a whole clearly reflected that the IEP teams were discussing some kind of sheltered work experience for Student. And yet, no annual transition goals or activities in the areas of education, training or employment were offered at any time before Student transferred to Montebello in April 2007. Based on the foregoing, the procedural violation continued. This procedural violation did not significantly impede Parent’s opportunity to participate in the IEP process because the IEP team was actively proposing a sheltered work experience program, trying to find a way to offer it, and Parent consented to the continuances. However, the violation impeded Student’s right to a FAPE since there were no valid employment or education goals or transition services before he transferred to Montebello, and the violation therefore denied Student a FAPE. 79. After Student transferred to Montebello on April 17, 2007, the 30 day interim placement continued the goals and services from Bellflower pending the transfer review, no ITP goals or services were added, and the procedural violation continued, which denied Student a FAPE. At the May 17, 2007 IEP meeting, the ITP stated that Student’s education and training goal was “TBD,” or “to be determined,” no long range postsecondary goal in education and training was offered, and the procedural violation continued. 80. This procedural violation did not impede Student’s right to a FAPE or significantly impede Parent’s participation in the decision-making process after May 17, 2007, because the May 2007 IEP and ITP otherwise contained measurable, appropriate goals, services and activities to address Student’s transition needs. A long range postsecondary employment goal was added for a “work/activity center/program” to appropriately reflect vocational experience and training at Lincoln. In addition, the ITP finally added specific annual goals in every category, which remedied the prior lack of annual ITP goals. The annual goals all had beginning and ending dates, were measurable, and were appropriate to support Student’s transition needs, along with his placement at MHS in a functional daily living and work skills SH/SDC. For example, in the area of community experience, the annual goal was to begin in September 2007 and continue to February 2008, for Student to attend the YMCA with his one-to-one aide once a week, and engage in movement activities with verbal assistance as needed. The goal was measurable and observable. Under education, for example, Student was then unable to locate the letter “B,” the first letter of his first name, from a total of nine letters given to him. The ITP goal was for him to locate and point to the letter “B,” given a selection of nine letters, in two out of three trials with 100 percent accuracy. There was also a daily living skills goal to sort coins, because Student could only sort pennies and dimes. These goals were related to his postsecondary transition to adult living to progress in recognizing his name, if not the alphabet, and working with money, and recognized his unique levels of ability and need. 81. Dr. Johnson’s criticism that the annual goals were not related or “linked” to Student’s transition needs was therefore not persuasive. The May 2007 ITP was based on all of Student’s prior assessments, including the vocational assessment, and included a goal for completing tasks both in the classroom and at Lincoln. Based on the foregoing, as of the May 2007 ITP, the procedural violation of not having a long range postsecondary education and training goal did not impede Student’s right to a FAPE or deny him educational benefit. 82. As set forth in Factual Findings 65 through 81, the ITPs from September 11, 2006 to May 17, 2007, denied Student a FAPE. Student is therefore entitled to compensatory education as a remedy. 83. Student contends that Montebello’s postsecondary goals for the 2007-2008 school year failed to comply with the legal requirements for postsecondary goals, and otherwise denied him a FAPE. Montebello contends that the postsecondary goals in Student’s ITP for 12th grade complied with the law. For the beginning of the 2007-2008 school year, when Student was in 12th grade, the May 2007 ITP was in effect. 84. Montebello convened an IEP meeting on October 10, 2007. Student’s long range postsecondary education and training goal remained “TBD,” which constituted a procedural violation because the transition laws required postsecondary education and training goals. However, the IEP provided that Student would attend SH/SDC classes at MHS that taught functional English, math, survival signs and daily living skills in the morning, and work skills training in the afternoon, such as sorting, collating, packaging, electric stapling, shredding, and cleaning. The classes addressed functional and prevocational instruction and training and thus supported his path to postsecondary transition. In addition, the ITP provided that Student would attend Lincoln twice a week, and would be given classroom duties to learn independent living skills, including washing dishes, and cleaning tables and the microwave. The ITP also had annual goals and services to support his transition in all areas similar to those in the May 2007 ITP. 85. The October 2007 ITP may not have been well organized or optimal; however the goals were sufficient to address Student’s transition needs in all areas as required by law. Consequently, the lack of an identified postsecondary education and training goal did not impede Student’s right to a FAPE, nor did it significantly impede Parent’s opportunity to participate in the decision making process. Student’s progress at Lincoln and in the SDC classes was reviewed by the IEP team and there was no evidence that Parent was deprived of information. 86. At the annual IEP meeting on March 4, 2008, there was still no long range postsecondary education or training goal for Student as required by law, which continued the procedural violation. However, as determined above, the lack of an identified long range education and training goal did not impede Student’s right to a FAPE or significantly impede Parent’s right to participate in the IEP process because the annual goals and services in the IEP as a whole, including the ITP, were based on Student’s long range postsecondary needs in all categories, including goals for the SDC work training classes, working at Lincoln, going to the YMCA, functional reading, identifying coins, and completing tasks. There was an augmentative communication device goal to support his expressive communication to add simple phrases to the device. In addition, an activity or goal was added to take Student out to visit different stores in Los Angeles County for community experiences once a week. 87. Accordingly, for the 2007-2008 school year, Student did not establish that Montebello committed any procedural or substantive violations with respect to his postsecondary and annual transition goals and services that denied him a FAPE. 88. Student contends that the LEAs failed to provide sufficient transition services to meet his unique needs, taking into account his strengths, preferences, and interests, and to support his postsecondary transition for both school years. Student claims that he should have received more vocational and daily living skills training. Bellflower and Montebello contend that they offered appropriate transition services to support Student’s postsecondary goals. 89. The IEP must contain transition services needed to assist the pupil in reaching his or her postsecondary goals. The transition services or “coordinated set of activities” must be based upon the individual needs of the pupil, “taking into account the strengths, preferences and interests of the pupil.” Transition services include instruction, related services, community experiences, the development of employment and other post-school adult living objectives, and acquisition of daily living skills. The term “related services” includes transportation and other developmental, corrective, and supportive services as may be required to assist the pupil to benefit from special education. 90. Student contends that the LEAs did not offer or provide him with sufficient vocational and community experiences during 11th and 12th grade. As set forth in Factual Findings 65 through 82, the IEPs and ITPs for the 2006-2007 school year at Bellflower, until he transferred to Montebello in April 2007, did not contain any long range postsecondary goals for vocational training and contained an unacceptably vague goal to attend a transition program after high school. There were no annual vocational goals or services. The ITPs also contained a valid postsecondary community participation goal for Student to access community resources. However, there were no valid or measurable annual community related goals or services. The IEPs of which the transition plans were a part also offered no vocational or community experience opportunities or services at Bellflower. The lack of goals and services to provide Student with vocational and community experiences during that time period constituted a procedural violation. 91. This procedural violation impeded Student’s right to a FAPE, significantly impeded Parent’s opportunity to participate in the IEP decision-making process since no goals or services in these mandatory areas were offered, and deprived Student of educational benefit. Dr. Johnson and Scott Shepard, a vocational expert, were persuasive that the LEAs should have offered Student vocational and community experiences during his 11th grade year in high school at Bellflower. Dr. Johnson established that, even though Student is at significant risk of being institutionalized as an adult with severe disabilities, he could potentially be successful in a supported employment environment if he were to have exposure and experience in the “real world” in order to learn what is possible. Therefore, this violation denied Student a FAPE. No vocational or community experiences were provided to him until May 2007. Student was without such experiences from September 11, 2006, through May 17, 2007, and he is therefore entitled to compensatory education. 92. As set forth in Factual Findings 52 through 56, after Student transferred to Montebello in April 2007, Montebello offered him work experience and training at Lincoln twice a week, which began in May 2007, and continued through 12th grade for the 2007-2008 school year. In addition, Montebello provided a YMCA goal or activity once a week, supported by the classroom teacher and aide; and trips to different stores in Los Angeles County. Janet Machado, Student’s SDC teacher and case manager for 12th grade, credibly established that community based instruction was part of her class, and trips were taken to fast food restaurants, drug stores and shopping centers, grocery stores, an open air farmer’s market, and clothing stores such as Ross and Marshalls. The LEAs suggested increasing the sheltered work experience and training to three times a week, but Parent declined. Dr. Johnson was critical that more variety of experiences should have been provided, and that limiting Student’s work experience to Lincoln was not optimal to help him learn what he may like or be successful at in other settings. However, the services offered met the requirements of the transition law, and the LEAs were not required to optimize Student’s access to vocational and community opportunities. 93. Based on the foregoing, for the last month of 11th grade, and for 12th grade in the 2007-2008 school year, there was no FAPE denial because the LEAs provided Student with appropriate vocational and community experiences and did not commit a procedural violation of the transition laws. 94. Student contends that the transition services during the 2006-2007 and 2007-2008 school years failed to have appropriate functional communication and daily living skills instruction or training to support his transition toward postsecondary life. The LEAs contend that the ITPs and IEPs provided appropriate functional communication and daily living skills instruction and training. 95. The ITPs for the 2006-2007 school year while Student was in 11th grade at Bellflower did not contain any postsecondary or annual, functional communication or daily living skill goals or services. (See Factual Findings 65 through 82.) Student was functionally nonverbal and his limited augmentative communication and daily living abilities needed development to assist him to transition to post-school activities. He was dependent on adults for virtually every aspect of his life and his daily living skills were fundamental to his transition to adulthood. While the transition statutes and regulations do not state where in the IEP the transition goals and services should be listed, the law requires them to be clearly stated in the IEP. Both Dr. Johnson and Dr. Greene persuasively established that the IEP should identify the postsecondary goals and transition services as such in a separate transition portion of the IEP. Even so, the IEP should be read as a whole document. Since Student’s severe communication deficits and limited daily living skills were material to his transition planning and postsecondary success, the LEAs should have had functional communication and daily living skills goals or services in the ITPs to support his transition to post-school life. Accordingly, the lack of any functional communication and living skills goals or services in Student’s ITPs constituted a procedural violation for the 2006-2007 school year until May 2007. 96. However, the evidence did not establish that this procedural violation impeded Student’s right to a FAPE, denied him educational benefit, or significantly impeded Parent’s opportunity to participate in the IEP process at Bellflower. The IEPs for 11th grade at Bellflower, as a whole, contained functional communication and functional living skills goals and services, including augmentative communication evaluations, communication device trials and trainings, and daily living skills goals. For example, after Student’s augmentative communication needs were reassessed, the February 2007 IEP team, including Parent, agreed to a trial period with the Minimo dynamic display device. Student had a functional academic and community goal to identify survival words when prompted. The targeted words included “men, women, in, out, exit, enter, danger, caution, emergency, walk, don’t walk, poison, office….” He could then identify eight to 10 words in the classroom, and by February 2007, he could identify or match 15 to 20 survival words. However, it was not clear whether he understood them. As set forth in Factual Findings 90 through 93, while Student attended Bellflower he did not receive sufficient community experiences in which to apply the functional communication instruction. The IEPs had a social emotional goal to be able to work in small groups without outbursts, and functional skills goal to be able to sort coins and match word-cards with the days of the week and months of the year. The IEPs at Bellflower also had a language/communication goal for Student to use vocal output devices, and provided speech and language services. Student was resistant to using the augmentative communication devices, and the aim of the goals was to increase his daily usage of them for functional communication. 11 Therefore, this procedural violation from September 11, 2006 through April 2007 did not deny Student a FAPE. 97. For the last month of Student’s 11th grade school year and the 2007-2008 school year in 12th grade, the IEPs and ITPs offered and provided many functional communication and daily living skills goals, instruction, services, and activities. Montebello continued providing him with speech and language therapy twice a week. Montebello continued providing functional skills goals and instruction in math to identify coins, and to learn survival words in class and in the community, to communicate with the BigMac vocal device to select his food choices for breakfast and lunch at school, and to do warm up and stretching exercises, increase his use of his vocal output devices, match shapes, and identify the days of the week. The ITPs provided that Student would observe home cooking videos and practice spreading jelly or butter on toast. Student was placed in Ms. Hernandez’s and Ms. Machado’s SH/SDCs at MHS that taught functional daily living and work skills training. The classes worked on self help skills, functional math and language arts (e.g., shopping, shopping lists, and the value of money), and functional and prevocational skills such as cleaning, gardening, sorting and packing. As set forth in Factual Finding 92, the class went on many trips to various businesses and stores in the community, and Student used his BigMac to communicate on the trips. Father was offered training on the communication devices Student was using and was asked to submit lists of words to add to the devices for communication in the home. The IEP teams continually discussed the communication devices and explored which ones were available and working for him. (Factual Findings 119 through 126.) The IEP team also added an ITP goal to program Student’s communication devices with words suitable to use in the work setting at Lincoln. 98. Dr. Johnson was critical that the functional communication and daily living skills instruction and services were insufficient and not specifically tied to Student’s postsecondary transition goals because there was not enough information in the ITPs to determine how learning to butter toast, for example, related to Student’s transition to adult life. Dr. Johnson’s testimony on this point was not persuasive because, as set forth in Factual Findings 65 through 73, Indicator 13, the analytical tool he used to conclude that none of the services were linked to specific postsecondary goals, is not the legal measure of the appropriateness of the transition services. Mr. Shepard was critical that more travel training or transportation services should have been provided. However, the IEPs provided that Student would have special word cards for the school bus driver when he took the bus. In addition, Student’s travel and transportation skills were worked on weekly as he went on the community trips. Overall, given Student’s limited cognitive, orthopedic, and functional development, the above goals, services and activities after Student transferred to Montebello were designed to address his unique functional communication and daily living skills needs, and were reasonably calculated to provide him with some educational benefit. 99. Based on the foregoing, for the last month of 11th grade and the 2007-2008 school year in 12th grade, Student did not establish that the transition plans, goals and services in his IEPs for functional communication and daily living skills training were inappropriate to support his transition toward postsecondary life. Therefore, there was no denial of FAPE on this basis. 100. Student contends that the LEAs failed to provide independent toilet training as a related service to support his postsecondary transition. Bellflower and Montebello defend that toilet training was not appropriate because he did not possess the ability to physically know when he needed to go to the bathroom, and they complied with CDE’s order to have a toileting schedule. 101. The evidence established that Student has limited use of his lower extremities, attends school in a wheelchair, can use a walker at home, and has enough upper body strength to lift himself from his wheelchair. Student wears diapers to school and depends on his one-to-one aide or other adult to change his diaper periodically during the school day. He does not communicate a need to use the toilet during the day. As of September 11, 2006, for the 2006-2007 school year in 11th grade, there was no toileting schedule for him. 103. As set forth in Factual Findings 44 and 45, Bellflower held IEP meetings in October and December 2006. Montebello representatives were present at both meetings. At the October 2006 IEP meeting, CCS reported to the IEP team its opinion that Student was not aware of when his body signaled a need to use the toilet. The LEAs established a toileting schedule for Student at the December 2006 IEP meeting. The schedule was for changing Student’s diaper three times during each school day, and did not provide for toilet training for him to learn to transfer to a toilet to perform his bodily functions. After Student transferred to Montebello in the spring of 2007, Montebello continued the diaper-changing toileting schedule. 104. Mr. Shepard is the director of Avenues, an NPA that provides supported living services to disabled children and adults with funding primarily through the Regional Centers, including round-the-clock care in the home. In addition, he is an instructor at California State University Northridge and teaches transition classes for school teachers. Mr. Shepard corroborated Ms. Skipper’s concerns and credibly established that at least half of the service providers he is aware of will exclude people from their programs if they are not toilet trained. He conceded that many agencies do not or are not legally allowed to exclude diaper or catheter-dependent people. Dr. Johnson was also persuasive that there are toilet training methods that should be used to at least try to train and support Student to become more independent in this area. 105. Neither party presented any direct evidence to establish whether Student does or does not have the ability to physically sense when he needs to use the toilet, or whether he may, but is not able to communicate that need. However, the LEAs did not establish that these abilities are a necessary prerequisite for toilet training services. Since Student possesses sufficient upper body strength to transfer from his wheelchair, and does so regularly, Dr. Johnson established that Student may be capable of being taught to transfer to a toilet on a regular basis if there were support bars, and a training schedule that did not wait until after his diaper was soiled to change it. Daily living skills assessments showed that Student can use his hands to eat with a fork and spoon and dress his upper body. The February 2007 annual reassessment showed that he could help pull up his pants and could wash his hands when directed to a sink. During toilet training, issues regarding his fine motor limitations and successful hygiene could be evaluated. 106. Based on the foregoing, for both school years in 11th and 12th grades, Student met his burden of persuasion that the LEAs should have provided him with toilet training as a related service to support his postsecondary transition since his dependence on diapers for performing his bodily functions will significantly impede his progress as an adult. The LEAs did not produce any evidence to establish that toilet training had been tried in the past but did not work, for example, or that toilet training is not otherwise a unique area of need related to Student’s appropriate postsecondary transition. As a result, the lack of transition services for toilet training constituted a procedural violation that impeded Student’s right to a FAPE and deprived him of educational benefit. Student was therefore denied a FAPE, and is entitled to receive compensatory toilet training services as a remedy. 107. Student contends that the LEAs should have invited outside agencies that were likely or potentially likely to be responsible for providing postsecondary transition services to him to the IEP/ITP meetings during both school years. Bellflower and Montebello contend that they complied with the requirement to invite pertinent outside agencies to the IEP meetings. 108. The ITP is required to contain the transition services that the IEP team determines are needed to assist a pupil in reaching his long range postsecondary goals. If an outside agency is likely to be responsible to provide or fund a transition service, the LEA shall invite a representative of the participating agency to the IEP meeting, provided the parent consents and it is otherwise appropriate. 109. Student’s issues are limited to those set forth in his complaint. For the 2006-2007 school year, his complaint stated that the LEAs should have invited The Arc of California to the October 2006 IEP meeting, where a sheltered workshop setting was discussed, because Ms. Skipper recommended The Arc in her September 2006 vocational assessment report. (Factual Findings 36 through 44.) However, the fact that one assessor recommended a particular NPA or agency does not mean that it was “likely” that it would be responsible to provide the service. In fact, the evidence demonstrated that Bellflower informed the parties that it had a contract with ARC only for pupils over the age of 18, and could not provide a sheltered work program through ARC to Student, who was then 16. 110. The complaint also says that other relevant outside agency service providers should have regularly been invited to the 11th grade IEP meetings, but did not specify which. Student now argues the Regional Center should have been invited. However, the evidence established that a Regional Center representative attended Student’s annual IEP meeting on February 20, 2007, and explained to the IEP team, including Parent, what options and services would be available to Student through the Regional Center after he leaves the school system. Parent was invited to call the representative to set up an individualized program plan (IPP) meeting. Therefore, the evidence showed that appropriate agencies attended Student’s IEP meetings during 11th grade. He did not establish a procedural violation during the 2006-2007 school year on this ground. 111. Student’s complaint stated that, for the 2007-2008 school year, the LEAs should have invited outside agencies in addition to Lincoln to the October 2007 IEP meeting. Montebello invited Lincoln to and participated in that IEP meeting because Student was then placed at Lincoln for sheltered work experience twice a week, and Lincoln was the service provider. Student’s complaint states that the LEAs should have also invited representatives from an independent living center, a knowledgeable financial expert on matters such as Social Security, Medicaid, and MediCal, and a knowledgeable personal care provider or rehabilitation counselor. While Student would have preferred to have some of these representatives as the IEP meeting, he did not provide any evidence that the agencies were likely to provide or fund any services to him for that school year or for the next few years while he continues to receive special education services. 112. The evidence established that outside agencies attended Student’s IEP meetings as appropriate when their services or funding was implicated. For example, CCS attended Student’s IEP meetings when their services were necessary to report an OT evaluation or discuss his wheelchair or augmentative communication devices because they funded those items. LACOE personnel attended Student’s IEP meetings where their augmentative communication services were involved because LACOE was the augmentative communication service provider. 113. Based on the foregoing, Student did not establish that the LEAs failed to invite outside agencies required to be invited to the 11th and 12th grade IEP meetings, and there was no violation or denial of FAPE. 114. Student contends that his ITPs for both school years failed to identify the frequency, location and duration of transition services. The LEAs contend that the ITPs provided appropriate information required by law. 115. Generally, an IEP is required to set forth the frequency and duration of educational programs and related services. The law regarding the provision of transition services “needed to assist the pupil in reaching the postsecondary goals” is silent as to the level of specificity required. Student contends that transition services should be subject to the same statutory requirements as any other service in an IEP. 116. However, Student’s expert transition witness, Dr. Johnson, and Montebello’s expert transition witness, Dr. Greene, both acknowledged that the nature of the postsecondary transition services did not lend itself to the same type of analysis as that for an annual academic goal or service, where goal progress is measured pursuant to repetitive tests or trials and services were often more fluid. Postsecondary transition services span several years with broad-based objectives that progress and change. Hence, the standards for transition services are less stringent than those for annual IEP services in terms of specificity because the frequency and duration of the transition services is often difficult if not impossible to predict. 117. As set forth in F actual Findings 74 through 82, the ITPs for Student during the 2006-2007 school year through April 17, 2007, while he was in 11th grade at Bellflower, did not contain any measurable or valid transition services. Therefore, this issue is not applicable to those ITPs because there were no transition services, which was found to constitute a separate FAPE violation. 118. The ITPs for the last month of 11th grade, and the 2007-2008 school year in 12th grade offered services which had beginning and ending dates. While Student’s attorneys were critical that more than just an annual time-frame was required for Student’s transition services, the evidence established that the services were offered in context. The fact that the ITPs did not establish how frequently Student would attend Lincoln was not critical because other places in the ITPs established his schedule for Lincoln. The LEAs were not required to, and could not reasonably establish a date by which Student would become employed at an identified job given the nature of his deficits and limited skills. The locations of some of the services, such as the YMCA, were known to the parties. The augmentative communication services were on a consultation or as needed basis and that was not shown to be inappropriate. The community experiences were weekly, and no greater specificity was required in the formal ITP document to specify the locations of businesses or restaurants. Therefore, the evidence did not establish that, after Student transferred to Montebello, the LEAs failed to comply with a requirement for the ITPs to set forth the frequency, location or duration of transition services. Accordingly, no procedural violations were established and Student was not denied a FAPE on this basis. 119. Student’s complaint contends that, for the 2007-2008 school year in 12th grade, Montebello and LACOE denied him a FAPE by failing to provide him with the augmentative communication devices that were required by his IEPs and were necessary to his postsecondary transition. 12 Montebello and LACOE assert that they were involved in testing the devices in order to determine which device(s) would be appropriate to meet Student’s needs, and complied with the IEPs. As set forth in Factual Finding 11, LACOE was a service provider for augmentative communication. 120. A failure to implement any provision of the IEP may amount to a FAPE violation only where the failure has been determined to be material. A material deviation from an IEP occurs when the program or services provided to the student fall significantly short of those required by his or her IEP. A student is not required to demonstrate that he or she suffered educational harm in order to prevail. 121. Ms. Miller, LACOE’s augmentative communication specialist, presented Ms. Cottier’s augmentative communication assessment report to the February 2007 IEP team at Bellflower. (Factual Findings 49 and 50.) Ms. Cottier recommended the DynVox Minimo device for Student based on her observations during the assessment. Ms. Miller testified persuasively that she did not agree with Ms. Cottier’s recommendation for the Minimo because she thought it was too complex for Student. Student had used the Go Talk since elementary school, and used it more frequently than the other devices to deliver simple messages, such as selecting food. The IEP team agreed to obtain a Minimo on loan for Student to try for an unspecified period of time, and to continue his access to the other devices during the trial period. Bellflower, Montebello and LACOE agreed to order the Minimo dynamic display on a trial basis despite concerns that it might not be a suitable device. Student received the Minimo for initial training while at Bellflower. After Student transferred to Montebello, the May 2007 IEP meeting noted the concerns, but agreed to recommend that Montebello and LACOE rent a Minimo device to try it. 122. For the 2007-2008 school year, Montebello’s IEPs noted that Student’s then-present levels of communication development included using the GoTalk, BigMac, Step-by-Step, “and/or Minimo.” LACOE assigned augmentative communication specialist Mary Bergman to provide consultative and training services. Montebello thereafter rented the Minimo. The evidence did not establish when Student received it. Student did not establish that there was any material deviation from the IEP in providing this service. 123. At the October 2007 IEP meeting at Montebello, the team noted that Student was still learning to use the Minimo. The October IEP provided that the BigMac, Go Talk and Step-by-Step would be sent home with Student regularly. The IEP did not provide that the Minimo would be sent home because he was still learning how to use it in the school setting. Ms. Bergman established that CCS and LACOE policies were to make sure the pupil learned to use the device properly before expanding its use to other settings. Ms. Machado was persuasive that the BigMac and Go Talk devices were sent home with Student to provide functional communication access until January or February 2008, when Parent asked her to stop sending them home. For some time period of not more than two months, the Step-by-Step was unavailable to Student as it was apparently being repaired. Student did not establish that this deviation from the IEP was material, he had access to other voice output devices, and there was no violation or denial of FAPE. 124. Ms. Bergman determined during the trial period that the Minimo was not a good match for Student because it was too sophisticated for his functional level; it had a keyboard and he did not spell or read. She was persuasive that Student needed a less complex device with pictures and simple phrases. Ms. Bergman credibly established that by early 2008, DynaVox, the manufacturer of the Minimo, discontinued making it and replaced it with the DynaVox M3 (M3). The M3 had pictures with scenes which Student could readily access, pre-installed voices, and could be programmed by inserting pages to provide phrases, such as asking for help or asking for more work. DynVox agreed to loan Montebello (or LACOE) an M3 for a trial period with Student. 125. The evidence did not establish when Student received the loaned M3 for testing. He used other vocal output devices until it came. In the spring of 2008, Student demonstrated to Ms. Bergman that the M3 was a good match for him and it was ordered through CCS. The March 4, 2008 IEP indicated that the team’s recommendation for the M3 would be forwarded to CCS to begin the purchase process, and the IEP did not provide a deadline by which it had to be in place. Ms. Bergman credibly testified that since the M3 trial period was over and the IEP team decided to obtain it, DynaVox required the loaned M3 to be returned to the company pending the purchase. She also established that the purchase process often took many months. Montebello and LACOE gave Student another Minimo to use in the interim, and he did not receive the permanent M3 device until October 2008. 13 Student did not establish that any delay in obtaining either the loaned or permanent M3 constituted a material deviation from his IEPs, which did not provide for deadlines. Student had access to alternative voice output devices throughout the school year. 126. Based on the foregoing, Student did not establish that Montebello and LACOE failed to provide him with communication devices as required by his IEPs. To the extent he was without a particular device for some time, he did not establish that the failure to implement the vocal output device provisions of the IEPS constituted a material deviation that fell significantly short of the services he should have received. Consequently, there was no denial of FAPE. 127. When a LEA fails to provide a FAPE to a student with a disability, the student is entitled to relief that is “appropriate” in light of the purposes of the IDEA. Compensatory education is a form of equitable relief that may be granted for the denial of appropriate special education services to help overcome lost educational opportunity. The purpose of compensatory education is to ensure that the student is appropriately educated within the meaning of the law. Where the actions of parents are unreasonable, equitable relief may be reduced or denied. 128. As determined in Factual Findings 3 through 16, Montebello is responsible as Student’s LEA of residence for all violations found in this Decision, and Bellflower is an additional LEA jointly and severally responsible for the violations found in this decision for a window period between December 11, 2006 and April 17, 2007, only. Therefore, even though the specific determinations below are addressed to “Bellflower and Montebello,” the awards and orders made should be prorated among the parties accordingly. 129. Dr. Johnson established that Student is at risk for failure in the postsecondary transition areas of education, training, employment, and independent life skills. Dr. Johnson established that the last year or two of high school for Student was a critical time to provide transition goals and related services to meet his unique needs to help avoid the dangerous pitfalls of institutionalization as an adult. 130. Bellflower and Montebello contend that they should not be found to have denied Student a FAPE, or at least should not be ordered to provide any compensatory relief to him, because CDE found Montebello to be in compliance with its corrective action orders, and because Dr. Greene analyzed Student’s ITPs and determined that Montebello’s ITPs after April 2007 complied with the postsecondary transition laws. However, Dr. Greene did not analyze the ITPs in connection Student’s unique needs but established that those ITPs contained all of the types of information required by law. Moreover, CDE did not evaluate Bellflower’s role as an LEA, and Dr. Greene found that Bellflower’s ITPs were defective and did not comply with the transition laws. In addition, CDE did not make determinations of violations of FAPE. 131. Based on Factual Findings 22 through 54, Bellflower and Montebello denied Student a FAPE for the 2006-2007 school year from September 11, 2006 to May 17, 2007, by not having valid long range postsecondary and annual employment and education goals and transition services in the ITPs and IEPs. Based on Factual Findings 88 through 93, Bellflower and Montebello denied Student a FAPE for that same time period, essentially most of Student’s 11th grade year, by not offering or providing any vocational or community experiences necessary to support his transition needs. Student is therefore entitled to compensatory education. The compensatory education should be delivered by an NPA, instead of Montebello, because there was no evidence that Montebello has qualified school staff to provide these services, outside of its vocational contract with Lincoln. Since Montebello has currently placed Student in vocational training at Lincoln, his compensatory vocational services should be provided by another NPA, not Lincoln, in order to provide independent services and varied vocational experiences and training. 132. Student has requested 720 hours of compensatory vocational services based on both 11th and 12th grade. The amount requested is based on a 44-week school year, including the extended school year, for two years, at the rate of 10 compensatory hours per week, and includes a subtotal of 440 hours of compensatory services for 11th grade violations. The evidence does not sustain that level of intensity. The nature of the violations and the severity of Student’s deficits indicate that a year of compensatory services of about four hours a week would provide compensatory benefit. Therefore, based on a 44-week school year, the compensatory amount is calculated as the equivalent of four hours of compensatory vocational services per week for one school year, or 176 hours of direct services, plus additional hours for supervision and consultation. Since no evidence was provided as to suitable ratios for supervision and consultation hours as compared to service hours, the ALJ has estimated an approximate amount of 20 percent extra for supervision and consultation, or 34 additional hours, for a total of 210 hours for purposes of calculating the amount of compensatory education. Bearing in mind that the violations occurred during a critical time in Student’s transition to adulthood, Bellflower and Montebello shall therefore be ordered to provide 210 hours of vocational training, experience and counseling from an independent NPA. The total hours shall include direct services (one-to-one and/or small group) at school and in the community, including supervision of the delivery of the services, and consultation with Student’s teachers, aides, school staff, and employers. However, the total hours may be allocated and delivered as reasonably provided for by contract between the LEAs and the NPA. 133. Based on Factual Findings 100 through 106, Bellflower and Montebello’s failures to offer or provide related services for toilet training to support Student’s transition to postsecondary life for both the 2006-2007 and 2007-2008 school years denied him a FAPE. Student is therefore entitled to compensatory toilet training services from an independent NPA, including an assessment, toilet training services, and parental training. The services should be provided by an NPA to provide independent services with a qualified provider, and because Montebello did not establish that its staff was trained in independent toilet training. Student requests a total of 264 hours of services, calculated on the basis of 30 minutes per school day over two 44-week school years, including up to 20 hours of parental training, and up to 25 percent of the total for consultation with school staff. However, compensatory education is not based on a one-to-one ratio according to what may not have been provided in the past, but is based on Student’s needs to overcome the loss of educational benefit. The evidence established that Student needs about one year of consistent, daily independent toilet training services to compensate for his past loss of such services. 14 Therefore, the compensatory services shall be provided to Student calculated on the basis of one school year, or 44 weeks, at 30 minutes per school day, for a total of 110 hours of direct toilet training services. The ALJ has estimated, for purposes of calculating an amount, an approximate amount of 20 percent additionally allocated for supervision of the delivery of the services, and consultation with Student’s teachers, aides, school staff, and employers, for an additional amount of 22 hours, plus additional hours allocated to an initial toileting assessment, and up to 20 hours for parental training, for a total of 170 hours of toilet training services. However, the total hours may be allocated and delivered as reasonably provided for by contract between the LEAs and the NPA. Were Bellflower, Montebello and LACOE the LEAs responsible for Student’s special education and related services for the 2006-2007 and 2007-2008 school years? 6. As set forth in Factual Findings 5 through 16, and Legal Conclusions 2 through 5, LACOE was not an LEA, and was only responsible for Student’s augmentative communication services in this case, and not for any other educational or related services. As Student’s school district of residence, Montebello was the LEA responsible for his special education and related services during both 11th and 12th grade for the 2006-2007 and 2007-2008 school years. Bellflower was also an LEA responsible for Student’s educational services for part of the 2006-2007 school year, because Bellflower made educational decisions for him, offered educational programs and services, and conducted IEP meetings based on its own administration and separate SELPA. There was no evidence that it was a mere service provider for Montebello. Bellflower was therefore also responsible for the violations found to have occurred during 11th grade. However, due to application of the two-year statute of limitations, Bellflower’s liability commenced two years prior to December 11, 2008, when it was joined as a party to this action. Therefore, Bellflower’s liability in this Decision is limited to the four-month time period between December 11, 2006, and April 17, 2007, when Student transferred to Montebello. 7. Before any action is taken with respect to the initial placement of a child with special needs, an assessment of the pupil’s educational needs shall be conducted. (Ed. Code, § 56320.) The student must be assessed in all areas related to his or her suspected disability, and no single procedure may be used as the sole criterion for determining whether the student has a disability or an appropriate educational program. (20 U.S.C. § 1414(a)(2), (3); Ed. Code, § 56320, subds. (e), (f).) Thereafter, special education students must be reassessed not more frequently than once a year, and shall be reassessed at least once every three years, unless the parent and the local educational agency (LEA) agree otherwise. 1. Beginning on September 11, 2006, did Bellflower and Montebello fail to timely and appropriately assess Student’s unique needs regarding postsecondary transition for the 2006-2007 and 2007-2008 school years? 10. As set forth in Factual Findings 17 through 32 and Legal Conclusions 7 through 9, Bellflower and Montebello failed to assess Student’s employment and prevocational training skills by September 11, 2006, but otherwise assessed all other areas related to postsecondary needs and goals, including education, and independent living skills. This violation of the legal requirements for assessment was immediately remedied as Bellflower and Montebello conducted a vocational assessment in September 2006, and reviewed it an IEP meeting in October 2006. Therefore no further remedy is warranted. 11. As set forth in Factual Findings 36 through 54, and Legal Conclusions 7 through 9, for the rest of the 2006-2007 school year until Student transferred to Montebello on April 17, 2007, Bellflower and Montebello timely and appropriately reassessed Student for the annual IEP in February 2007, and no further assessments were requested or warranted. Therefore, there was no denial of FAPE. 12. As set forth in Factual Findings 53 through 60, and Legal Conclusions 7 through 9, thereafter, after Student transferred to Montebello for the rest of 11th grade, and the 2007-2008 school year in 12th grade, Montebello timely and appropriately reassessed Student for the annual IEP in March 2008, and no further assessments were requested or warranted, and there was no FAPE denial. 2. Did Bellflower and Montebello deny Student and Parent meaningful participation in the December 18, 2006 IEP meeting, and thereby deny Student a FAPE? 16. As set forth in Factual Findings 61 through 64 and Legal Conclusions 13 through 15, there was insufficient evidence to establish Student’s claims that he and Parent were denied meaningful participation in the December 2006 IEP meeting by virtue of lack of valid notice or other circumstances. Accordingly, no procedural violation was established and there was no denial of FAPE on this basis. 3(A). Beginning on September 11, 2006, did Bellflower and Montebello have inadequate transition planning and services for Student, and thereby deny him a FAPE for the 2006-2007 and 2007-2008 school years by failing to offer or provide appropriate, measurable postsecondary transition goals that were based on age-appropriate assessments related to training, education, employment, and independent living skills, and which met his unique transition needs? 19. As set forth in Factual Findings 65 through 82, and Legal Conclusions 13 through 15, 17, and 18, for the 2006-2007 school year from September 11, 2006 to April 17, 2007, when Student transferred to Montebello, the responsible LEAs, Bellflower and Montebello, failed to offer or provide Student an appropriate postsecondary or annual transition goal in the areas of employment and education, and committed a procedural violation. This procedural violation did not significantly impede Parent’s opportunity to participate in the IEP process because he actively participated on the IEP teams to arrange Student’s sheltered vocational services at Lincoln, and consented to the continuances of the meetings. However, the violation impeded Student’s right to a FAPE since there were no valid employment or education goals or transition services before he transferred to Montebello, and the violation therefore denied Student a FAPE. 20. At the IEP meeting on May 17, 2007, after Student transferred to Montebello, no long range postsecondary goal in education and training was offered, and the procedural violation continued. This procedural violation did not impede Student’s right to a FAPE or significantly impede Parent’s participation in the decision-making process after May 17, 2007, because the May 2007 IEP and ITP otherwise contained measurable, appropriate goals, services and activities to address Student’s transition needs. Thereafter, for the remainder of the 2007-2008 school year, there was no denial of FAPE because Student did not establish that the LEAs committed any procedural or substantive violations with respect to his postsecondary and annual transition goals and services. 3(B). Did Bellflower and Montebello have inadequate transition planning and services for Student, and thereby deny him a FAPE for the 2006-2007 and 2007-2008 school years by failing to offer or provide appropriate transition services, including vocational and community experiences, functional communication and daily living skills training, and independent toilet training? 21. Vocational and Community Experiences: As set forth in Factual Findings 88 through 93, and Legal Conclusions 13 through 15, 17, and 18, Bellflower and Montebello failed to offer or provide Student any vocational or community experiences during 11th grade from September 11, 2006, until after he transferred to Montebello in April 2007. The lack of goals and services to provide Student with vocational and community experiences during that time period denied Student a FAPE. 22. For the last month of 11th grade after May 17, 2007, and for the 2007-2008 school year, Montebello offered vocational and community experiences in the IEPs. Student did not establish that Montebello failed to offer or provide appropriate vocational and community experiences, as he was placed in the Lincoln sheltered workshop program, and had weekly community experiences and outings to the YMCA for exercise and to various businesses, restaurants, and shops to learn about daily living skills and vocational possibilities in the community. Accordingly, Montebello provided Student with appropriate vocational and community experiences, and there was no denial of FAPE for that period based on this ground. 23. Functional Communication and Daily Living Skills Training: As set forth in Factual Findings 94 through 99 and Legal Conclusions 13 through 15, 17, and 18, the lack of any functional communication and living skills goals or services in Student’s ITPs constituted a procedural violation for the 2006-2007 school year at Bellflower until May 2007. However, this procedural violation did not Student’s right to a FAPE, deny him educational benefit, or significantly impeded Parent’s opportunity to participate in the IEP process at Bellflower because the IEPs for 11th grade at Bellflower, as a whole, contained appropriate functional communication and functional living skills goals and services that were discussed at the IEP meetings. Therefore, there was no denial of FAPE on this basis during that time period. 24. During the last month of Student’s 11th grade for the 2006-2007 school year, and for the 2007-2008 school year in 12th grade, the IEPs and ITPs offered and provided many appropriate, functional communication and daily living skills goals, instruction, services, and activities. Therefore, Student did not establish that Montebello denied him a FAPE during that time period on this basis. 25. Independent Toileting Training: As set forth in Factual Findings 100 through 106, and Legal Conclusions 13 through 15, 17, and 18, for both school years in 11th and 12th grades, Student established that Bellflower and Montebello should have provided him with toilet training as a related service to support his postsecondary transition since his dependence on diapers for performing his bodily functions will significantly impede his progress as an adult. As a result, the lack of transition services for toilet training constituted a procedural violation that impeded Student’s right to a FAPE and deprived him of educational benefit. Student was therefore denied a FAPE. 3(C). Did Bellflower and Montebello fail to invite outside agencies that would be responsibly for providing or paying for transition services to Student’s IEP meetings and thereby deny him a FAPE for the 2006-2007 and 2007-2008 school years? 26. As set forth in Factual Findings 107 through 113, and Legal Conclusions 13 through 15, 17, and 18, Student did not establish that Bellflower and Montebello failed to invite outside agencies required to be invited to the October 2006 and October 2007 IEP meetings, and there was no procedural violation or denial of FAPE on this basis. 3(D). Did Bellflower and Montebello have inadequate transition planning and services for Student, and thereby deny him a FAPE for the 2006-2007 and 2007-2008 school years by failing to identify in the IEP transition services plans the frequency, location, and duration of all transition services? 27. As set forth in Factual Findings 114 through 118, and Legal Conclusions 13 through 15, 17, and 18, this issue does not apply to the 11th grade ITPs at Bellflower because there were no transition services offered. The ITPs for the last month of 11th grade and the 2007-2008 school year in 12th grade offered services which all had beginning and ending dates. Due to the nature of the transition services, the standards were not the same as those for annual goals, and the frequency and duration of services were often difficult to predict. Accordingly Student did not establish a procedural violation and there was no denial of FAPE on this basis. 29. As set forth in Factual Findings 119 through 126, and Legal Conclusions 28, Student did not establish that Montebello and LACOE failed to provide him with augmentative communication devices as required by his IEPs. Even if he was without a particular device for some time, he did not establish that the lapse constituted a failure to implement the vocal output device provisions of the IEPS, or that it constituted a material deviation of an IEP that fell significantly short of the services he should have received. Montebello was required to provide Student with appropriate vocal output devices to augment his communication, which was an ongoing process of determining which devices were suited to support his needs. Consequently, there was no denial of FAPE on this basis. 30. When an LEA fails to provide a FAPE to a student with a disability, the student is entitled to relief that is “appropriate” in light of the purposes of the IDEA. (School Committee of Burlington v. Department of Educ. (1996) 471 U.S. 359, 369-371; 20 U.S.C. § 1415(i)(2)(C)(3).) Based on the principle set forth in Burlington, federal courts have held that compensatory education is a form of equitable relief that may be granted for the denial of appropriate special education services to help overcome lost educational opportunity. (Student W. v. Puyallup Sch. Dist. (9th Cir. 1994) 31 F.3d 1489, 1496.) The purpose of compensatory education is to “ensure that the student is appropriately educated within the meaning of IDEA.” (Ibid.) Reimbursement may be denied based on a finding that the actions of parents were unreasonable. (See 20 U.S.C. § 1412(a)(10)(C)(iii)(III); 34 C.F.R. § 300.148(d)(3).) For example, in Patricia P. ex rel Jacob P. v. Board of Education (7th Cir. 2000) 203 F.3d 462, 469, parents who did not allow a school district a reasonable opportunity to evaluate a child following a parental unilateral placement forfeited their claim for reimbursement. 31. Based on the denials of FAPE as determined in Legal Conclusions 19 and 21, Student is entitled to compensatory vocational training and education. In determining the length of time over which compensatory vocational training and services should be provided as an equitable remedy for the LEAs’ violations, it is noted that the denials of FAPE occurred primarily during Student’s 11th grade year of high school, which not only impeded Student’s progress during his 11th and 12th grade years of high school, but also consequently diminished his current progress as well due to his slow rate of learning. Therefore, as calculated in Factual Finding 132, Bellflower and Montebello shall provide compensatory vocational training, experiences, and counseling in the total amount of 210 hours of vocational services through an NPA, including direct services, supervision and consultation. 32. Based on the denials of FAPE as determined in Legal Conclusion 25, Student is entitled to compensatory education due to Bellflower’s and Montebello’s failures to offer or provide independent toilet training services to Student for both the 2006-2007 and 2007-2008 school years. As set forth in Factual Finding 133, Student is therefore entitled to a total of 170 hours of compensatory toilet training services, including assessment, direct services, parental training, supervision and consultation. 1. As compensatory education for all of the violations found herein related to Student’s postsecondary vocational goals and transition services, Bellflower and Montebello shall provide a total of 210 hours of vocational services through a qualified vocational NPA provider prior to December 31, 2010. This shall include direct services to Student during school and during any job or training site where Student is placed or employed pursuant to his IEP, and may include services in the community. The services shall include, but are not limited to direct vocational training, vocational and community experiences, and vocational counseling; and may include up to 42 hours allocated for indirect consultation and supervision services. The direct vocational services must include individual one-to-one services, and may include small group services in the discretion of the service provider, unless the parties otherwise agree. The time of delivery of the services shall be coordinated between Student, Parents, the NPA provider, and Montebello. 2. To implement this order for compensatory vocational services, Student and the LEAs may nominate one or more special education vocational NPA providers within 30 days of the date of this decision. Montebello shall consider Student’s and Bellflower’s proposed provider(s), and Montebello shall select and contract with a qualified vocational NPA provider within 45 days of this decision. 3. As compensatory education for the violations found herein related to the failure to provide toilet training services, Bellflower and Montebello shall provide compensatory services in the form of a total of 170 hours of independent toilet training services through a qualified NPA provider prior to December 31, 2010, including an initial assessment, direct toilet training services, and parental training; and may include up to 22 hours allocated for indirect consultation and supervision services. The time of delivery of the services shall be coordinated between Student, Parents, the NPA provider, and Montebello. 4. To implement this order for compensatory independent toilet training services, Student, Bellflower, and Montebello may nominate one or more NPA providers for toilet training services within 30 days of the date of this decision. Montebello shall consider Student’s and Bellflower’s proposed provider(s), and Montebello shall select and contract with a qualified NPA provider and submit a proposed assessment plan to Parent within 45 days of this decision. 5. Parent shall make Student reasonably available for an initial toilet training assessment. Education Code section 56507, subdivision (d), requires that the hearing decision indicate the extent to which each party has prevailed on each issue heard and decided. Student partially prevailed on Issues 1, 3(A), and 3(B) for hearing in this case. Bellflower and Montebello partially prevailed on Issues 1, 3(A), and 3(B), and prevailed on Issues 2, 3(C), 3(D), and 4. LACOE prevailed on Issue 4, the only issue in which it was involved.